In his eighth season as head coach, Rod Barnes lead the Cal State University Bakersfield Roadrunners into the Galen Center to compete against the University of Southern California Trojans. Both these Basketball programs came into the game with 3-2 records in this early season matchup. Surprisingly there is very little history between the two programs, as this will be only the second time these teams have played again each other. The halftime score was indicative of the competitiveness displayed by each team, as CSU Bakersfield held a 46-44 at halftime lead. All-Time CSU leader in 3 pointers Guard Damiyne Durham led the Roadrunners with 16 points at the half. While Sophomore Guard Jordan Usher led the Trojans with 13 points at the half. The Trojans defended their home court as they did when these two teams last played against each other in December of 2013. 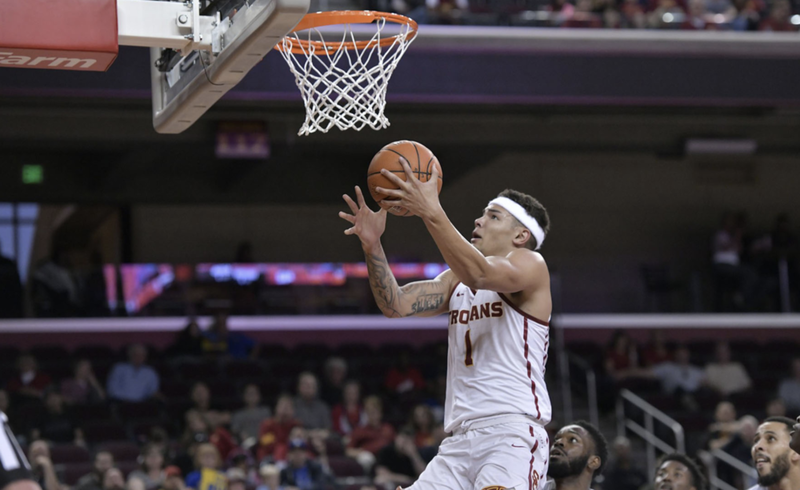 This young Trojan is versatile and athletic even without their star recruit Kevin Porter Jr., who was out with a calf injury. It will be interesting to see how this young team look with the full complement of players. Please let me know your thoughts on what you think the Trojans ceiling is this season, by commenting in the comment section of this article on www.whatsgoodinsports.com or @whatsgoodinsports on Twitter.